We are a comfortable new design hostel, opened on 15th of May 2011 in the heart of Berlin. We were designed by a famous Berlin architect who makes the main station hostel an extraordinary design hostel and ensures an interesting and pleasant stay. Our staff welcomes you 24h a day and we have always another tip ready what to do or what to see in Berlin by day and by night. 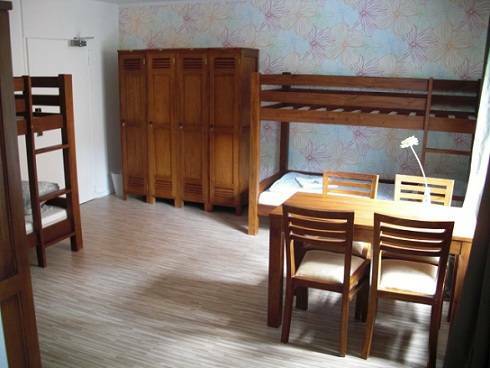 The Main Station Hostel is a friendly middle-size hostel. Each room is individually designed with warm colours, wall papers, exclusive furniture and bathroom interior. Our guests can relax in our big Restaurant or bar areas as well as in our common room with a Nintendo Wii. When the weather is fine you can grab one of our deck chairs and relax in the sand in our beer garden. If you want to skype or check your emails, why don't you just rent one of our Eee-PC's for free at the reception? You can choose between 3 different types of rooms. 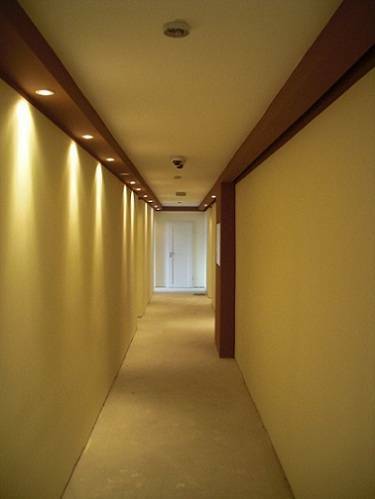 The most luxurious one is our apartment with 2 rooms, one sleeping room and one living room. If you want to come along with your children, they can stay for free until the age of 12. Therefore you can change the sofa in the living room into a bed. Needless to say, the apartment has its own bathroom and a flat screen TV. Our double rooms have one big king-size bed. Every double room has its own bathroom with shower/ toilet and a flat screen. The decoration is remarkable for a hostel. 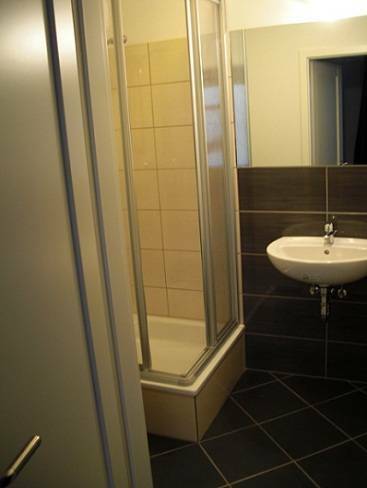 The 8 bedrooms, also with private toilet/shower, offer much space to put down your new staff you bought in Berlin. For Valuables you can use the lockers in the room for free. Bed Linen is included in the price. Towels are included in double rooms and apartments only. 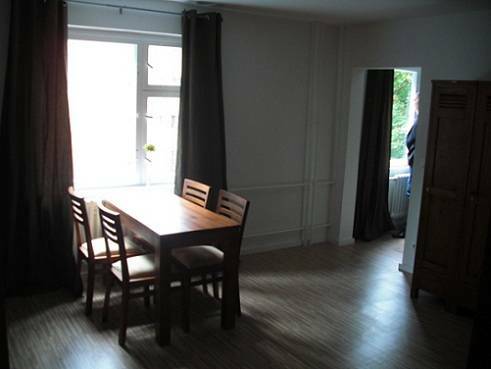 Our hostel is located in short distance to most of the interesting sights in Berlin. All attractions are easy accessible. From our hostel you have access to S-Bahn, U-Bahn and Bus. The S-Bahn Station Westhafen is just a 3 minute walk away as well as the U-Bahn Station Birkenstraße. During the night when the S- and U-Bahn is closed, you can take the night bus from the city centre to our hostel. Cancellations are free of charge up to 48 hour before arrival. After that you have to pay 50 % of the whole stay. 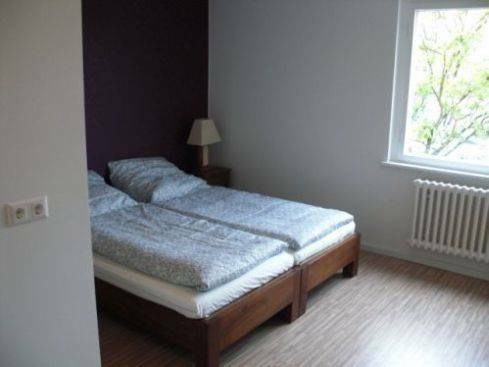 Our hostel is located near to the Bahnhof Zoo at the U-Bahn station Birkenstrasse or the S-Bahn station Westhafen. From the Bahnhof Zoo: Take the underground train U9 in direction to Osloer Strasse, the 3rd station is Birkenstrasse. Now it's a 3 minute walk to our hostel. From Bahnhof Ostkreuz: Take the S-Bahn 42 and get out at Westhafen. You can see the hostel from the Station. It's about 3 minutes from the station. From Airport Tegel (TXL): Take the Airport bus TXL to S-Bahn Station Beusselstr. Change there to the S-Bahn 41 and leave the train at Westkreuz (just one stop). Then it is just a 3 minute walk to our hostel. You can see the hostel directly from the train station. From Airport Schonefeld (SXF): Take the S-Bahn 9 to Ostkreuz. Change there to the S-Bahn 42 and leave the train at Westkreuz. Then it is just a 3 minute walk to our hostel. You can see the hostel directly from the train station.